The SE-6V6 Guitar Amplifier is a single-ended guitar amplifier that uses a 6V6GT power tube, a 12AX7 tube for the preamp and driver and a 5Y3 tube rectifier. 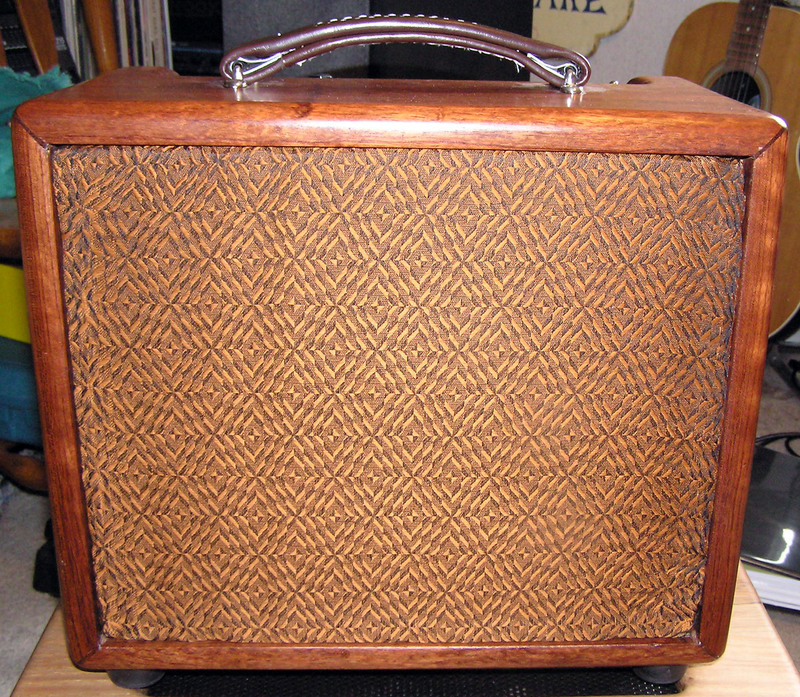 The circuit is based on the Fender tweed "Champ" model 5E1 from the late 1950's. I added a standby switch, polarity switch, single point ground, isolated input and output jacks, EIC power receptacle and a few other goodies. The cabinet is handmade using nice hardwood (shown in Bubinga) and a Spanish Cedar speaker baffle. This amp is great for jazz and blues. Cranked up, it is a great for rock. Because of its low power (4.5W), you can turn it up without losing your hearing. 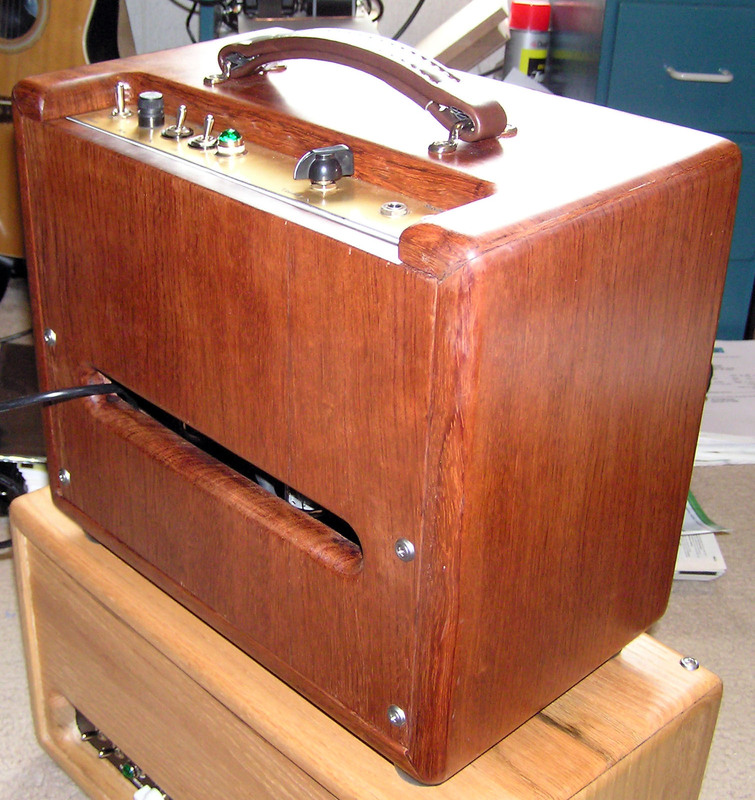 It is great as a practice amp or for small gigs or recording. The SE-6V6 is very sensitive to your playing and thus can be very expressive. Electro Harmonix 6V6GT, 12AX7 and Sovtek 5Y3GT. I also tried Ruby and JJ tubes. My preference is the EH.